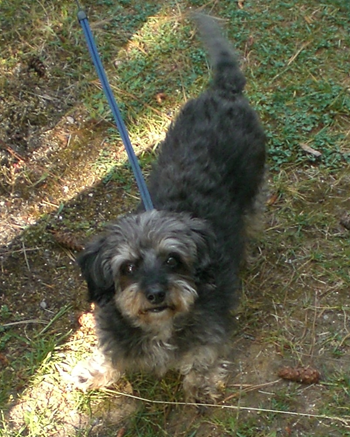 We have lost a Schnauzer Doxie mix named Pepper on the 4th of July at 10:30 P.M. He was wearing a blue fleece coat. I have attached a flier that we have posted around town where he went missing.